Construction jobs in Aurora Illinois are inherently dangerous. Serious accidents with severe injuries often happen at the construction site involving a worker or visitor. Many accidents are the result of negligence by one or more parties that could include the project developer, general or subcontractor, project manager, building manufacturers, and suppliers. However, determining liability can be challenging. If you were injured in an Aurora construction accident, you need an experienced Aurora construction worker accident attorney who specializes in personal injury, wrongful death and premises liability cases working on your behalf. Aurora Transportation Center (ATC) – Local City officials have slated making significant improvements to the Aurora Transportation Center that will help alleviate congestion and improve access to the surrounding neighborhoods. West and East Aurora School Districts Projects – More than $84 million worth of improvements and renovations will be implemented in the West Aurora School District 129. The state government is expected to make significant renovations and additions to school buildings with the addition of a new building at Hill Elementary School, and the installation of a new cooling and heating system. Contractors are expected to complete the projects by the end of 2018. More than $70 million is slated for construction of the East Aurora School District 131 was work performed on the high school, high school stadium, and middle schools. Lake Street Rehabilitation Project – Construction has begun on a rehabilitation project in Aurora at 55 S. Lake St. as a part of the Aurora economic development arm. The long-neglected building was once the local mattress Company that had fallen into disrepair. The $250,000 new renovation will transform the structure into six mixed-use commercial units. 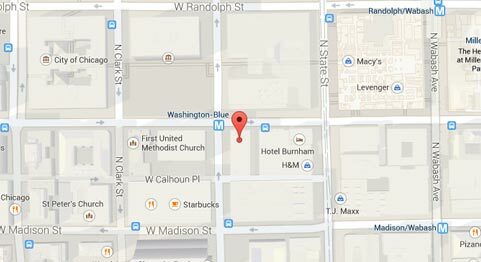 The project is being completed in conjunction with the 30 N. Broadway and 56 S. LaSalle projects all being funded by the John Durham Revolving Loan Fund meant to assist downtown property owners. New Residential Home Construction – Residential developers are building new homes in the Aurora, Illinois area. These developers include Pepper Viner, K. Hovnanian, Calvis Wyatt, King’s Court Builders, Didier Custom Homes, Timber Trails Development Co., and Red Oak Builders & Remodelers. Other developers will include M House Development, Faganel Builders, Guerrero A. Construction, Newgard Custom Homes, SG homebuilders, Fifth Avenue construction, Scott Builders, Overstreet Builders, Monument Homes, Nottinghill Builders, and others. Kane County, Illinois – A worker for the Kane County Division of Transportation (DOT) succumbed to his injuries after being struck by a Ford F250 pickup in Blackberry Township along Harter Road. In May 2016. The 44-year-old construction maintenance employee Steve Chidester was on the job with another worker traveling northbound just before stopping their truck and asphalt trailer to repair a pothole in the roadway. Another driver traveling northbound in a Ford F250 failed to slow down in time before striking the worker and the truck. EMT (Emergency Medical Technicians) pronounced Chidester dead at the scene. The decedent had worked for the Division of Transportation for four years. The county originally hired him for seasonal work operating a snowplow before becoming a full-time worker in April 2012 as a highway maintainer. The other worker and 27-year-old driver were treated at the scene for minor injuries. Aurora, Illinois – A 33-year-old Lake in the Hills resident was killed in an April 2017 workplace accident. OSHA (Occupational Safety and Health Administration) has opened the construction site inspection after the employee suffered and incised injury to the neck. A preliminary autopsy has yet to finalize the actual cause of the employee’s death. Lockport, Illinois – Two Aurora residents were found dead at a Lockport construction site in November 2016. The 36-year-old and 37-year-old employees had been hired to work on homes in the local subdivision when their coworkers found the decedent’s bodies when arriving at work. Geneva, Illinois – A construction site incident inside a Geneva Commons shopping center Tower claimed the life of the maintenance worker just before noon on February 2017. EMTs (Emergency Medical Technicians) responded to the scene after a 911 call where they found two workers injured inside a service bucket. Upon arrival, the first responders found one unconscious and unresponsive worker and the other worker unconscious. Paramedics at the scene determine one worker had died. The two employees had been hired to work on the clock Tower. Responders identified the decedent as 47-year-old West Dundee resident Donald Tentler. No details of the cause of death have been reported. 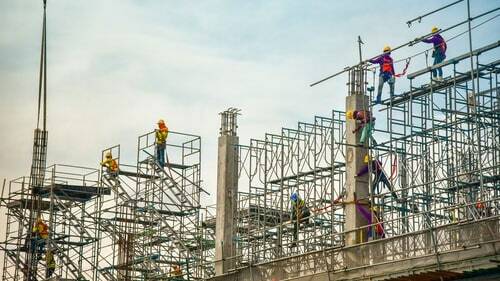 The most common severe injuries and fatalities on construction sites involved scaffolding, ladders, hazard a failure to use fall protection, a lack of fall protection training, excavation/trenching incidents, and mishaps with electricity, stairways, cranes, forklifts, and the failure to wear adequate head protection. If you or a loved one sustained severe injuries while working on a construction site in the Aurora, Illinois area, you are likely entitled to obtain benefits through Worker’s Compensation. These funds will cover the medical expenses on your injuries and your lost wages. However, every construction accident scenario is different, and obtaining all your funds can be challenging. It is typically in the best interest of your family to consult with an Aurora, Illinois construction accident attorney at Rosenfeld Injury Lawyers to discuss your case and review your legal options. Our team of construction accident attorneys can assist you in seeking full compensation. Contact us today at (888) 424-5757.